Every year on January 1st, people choose a list of resolutions that they want to accomplish in the new year. As we all know, these resolutions are usually ditched by March, or sooner. If you want to make a lasting change in the new year, try to set a specific goal that is attainable. While resolutions are usually quite strict and rigid, a goal can be more easily attainable and less likely to result in failure. Goals that aren’t written down are more likely to fail. Write your goals down in a place that you will see them frequently so you can view your progress and continue to recommit to your goals. 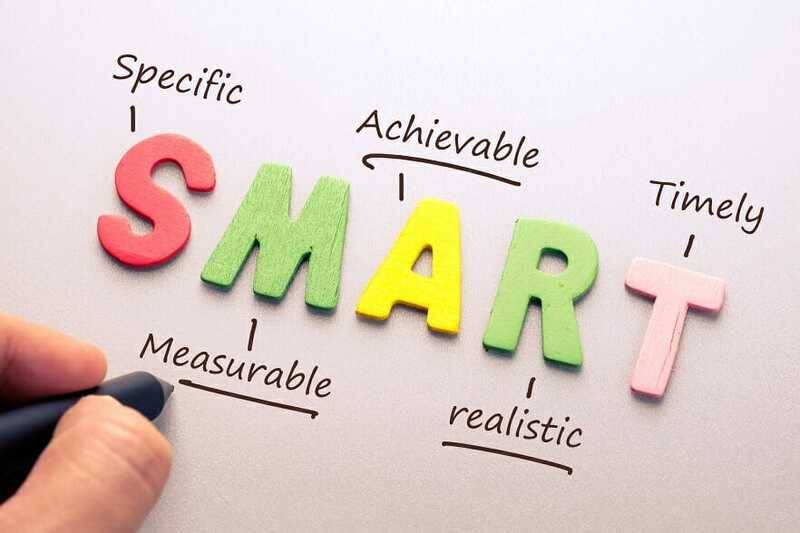 SMART is an acronym that stands for specific, measurable, attainable, realistic, and timely. Too often, people set goals that are unattainable and vague. Not only does that lead to frustration, but can increase the likelihood of abandoning your goal. Setting specific goals that you can measure and set a date for completing. No one said you had to focus on one goal. Make goals for different aspects of your life. Maybe you have personal goals, professional goals, relationship goals. Once you get the system down of creating a plan for your goals, you can have as many as you want! One big success is made up of a bunch of small victories. Chances are you aren’t going to accomplish your goal in one step. Don’t allow your focus on the outcome keep you from celebrating your mini milestones. Last, but certainly not least, when you finally accomplish your goal, reward yourself! You’ll be much more likely to set more goals if you reward yourself for a job well done.